Successfully Added Android Tablet PC - 3G, 10.1 Inch IPS Display, Dual IMEI, Bluetooth, Android OS, Google Play, OTG, Quad-Core CPU, 4500mAh to your Shopping Cart. If you are looking for a cheap Android tablet PC that lets you enjoy movies, games, and great connectivity on the go – this affordable 3G tablet is the ultimate gadget for you. Featuring two IMEI numbers, this Android tablet computer allows you to throw in two SIM cards and be connected to two 3G network providers simultaneously. Not only does this allow you to browse the web abroad at local charges, it also lets you use your Tablet computer as a regular mobile phone in case of emergency. Running on an Android operating system, it packs all the features similar to those found on your Android phone. Play games, download Apps, and browse the web – there is nothing this tablet computer can’t do. On its large 10.1-Inch IPS display, this Android tablet PC brings forth vivid color and crisp detail – letting you enjoy all your favorite forms of mobile entertainment to its absolute most. Further increasing the visuals is its Mali-720 GPU that lets you engage in the most graphically demanding mobile games without experiencing any lag. With this cheap Android tablet PC at your side, you’ll be all set to sit back, relax, and enter a world of mobile fun and entertainment. By supporting 16GB of internal memory and offering the additional possibility to throw in a 32GB SD card – this Android tablet computer offers all the storage you need to securely save your latest downloads. Packing a powerful 4500mAh battery, this 3G tablet packs enough juice for you to enjoy all its features for up to 3 hours in a row. Whether you want to watch a movie from beginning to end or simply browse the web for hours in a row – this powerful tablet packs all the power to get you through the most demanding of days. Its energy efficient Quad-Core MediaTek CPU furthermore allows you to engage in the latest and most demanding Applications while barely using any energy. This truly creates an efficient tablet that lets you take the most out of its features without draining your battery. Equipped with a 0.3MP front camera and 2.1MP rear camera, this 3G Android tablet is perfect for online video calls and snapping pictures or all those special moments in life. Whether you use it to write up files, stay connected to friends, or simply to play games on the go – this cheap Android tablet PC is guaranteed to meet all your demands while bringing along great efficiency and connectivity on the go. 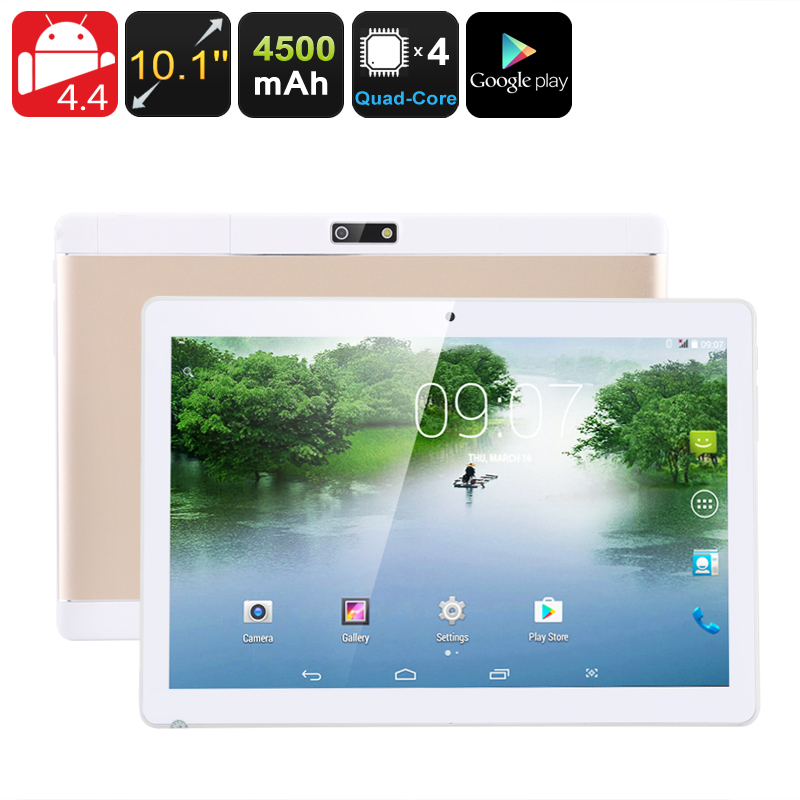 This cheap Android tablet PC comes with a 12 months warranty, brought to you by the leader in electronic devices as well as wholesale electronic gadgets..